NOS4A2, Zachary Quinto is coming for you. AMC recently cast Quinto as Charles "Charlie" Talent Manx on the upcoming horror drama series based on Joe Hill's 2013 vampire novel of the same name. The casting news comes to us via TVLine. In the Hill-penned source material, Manx is apparently immortal and has a proclivity for snatching up children, stealing sustenance from their souls, and throwing their bodies into Christmasland, a terrifying and twisted wonderland where every day is Christmas and where unhappiness is outlawed. The demented villain uses his swanky Rolls-Royce Wraith, stamped with a custom license plate that reads "NOS4A2," to lure the kids into his creepy clutches — but when a young artist named Vic McQueen realizes that she has the supernatural ability to track lost objects across a mysterious bridge, she catches a glimpse of his unmistakable vehicle and begins a hunt to end Manx's wrongdoings. Quinto joins Australian actress Ashleigh Cummings as Vic, Virginia Kull as Linda McQueen, Ebon Moss-Bachrach as Chris McQueen, Olafur Darri Olafsson as Bing Partridge, Jahkara Smith as Maggie Leigh, and Karen Pittman as Angela Brewster for NOS4A2. Though he's known for portraying Spock in the rebooted Star Trek film franchise, Sylar on Heroes, and Adam Kaufman on 24, Quinto has plenty of experience in the horror TV department. In 2011, Quinto played Chad Warwick on the freshman season of American Horror Story (later subtitled Murder House). The actor returned for the next installment of the horror anthology series, American Horror Story: Asylum, for 12 episodes as the creepy Briarcliff psychiatrist Dr. Oliver Thredson. 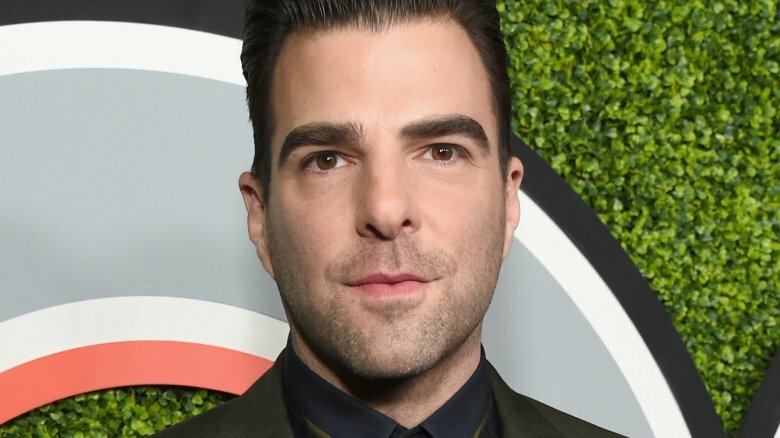 NOS4A2 will mark Quinto's first major television role since he played Harry Apostolou on the 2015 miniseries The Slap. Created by Jami O'Brien, NOS4A2 is expected to premiere on AMC sometime in 2019.